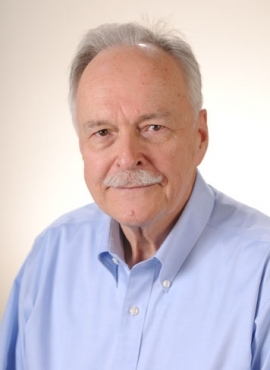 Gunter Sharp is a emeritus professor in ISyE. He received B.S and Ph.D. degrees in industrial engineering from Georgia Tech, as well as an M.S. degree in engineering-economic systems from Stanford. From 1982 to 1995, he was program manager for warehousing systems research within Georgia Tech's Material Handling Research Center (MHRC), a consortium jointly funded by U.S. industry and the NSF, where he was responsible for research in automated guided vehicle system configuration, unit load storage systems, work-in-process storage systems, system cost analysis, accumulation and sorting systems, and order assembly systems. From 1976 to 1981, Dr. Sharp was project director for the Multi-State Corridor University Research Program, a U.S. Department of Transportation-sponsored consortium involving nine universities. This research group developed analytical relationships between freight transportation improvements and industrial development. Results included a multi-mode multi-commodity network representation, mode share analysis, market share analysis, network capacity improvement algorithms, commodity flow data preparation, and demonstration of the integrated procedure for a seven-state area. Dr. Sharp's interests in logistics include multi-modal transportation systems, material flow systems, and order assembly systems.